they are all so cute >///<! Moe~..! I love your painting, everything is so pretty and detailed *__*! Poor Tsuna down there XD And Gokudera's the funniest XD! How did I not see this sooner? Great piece of fanart! Really awesome painting! 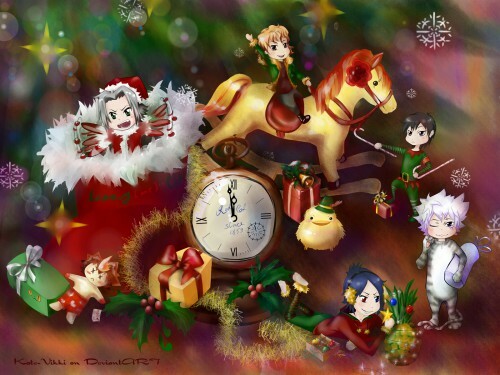 Quote by YamionpuPoor Tsuna down there XD And Gokudera's the funniest XD! Creative) Like it. It would be good if there were others. Ahh, I wish I would have found this earlier - very cute! I'll definitely have it up this Christmas.